NRIE offers support on all the legacy EIT products. There is a huge installed base of these products. EIT was very concious of designing backward compatibility into most of their data aquisition and recording products. This means that some of the older data recorders and radio network devices can be replaced with later models. NRIE will continue to manufacture rebranded versions of the xTech recorder, the Series 2 IPC, Datatenna Link and the 900 MHZ Spread Spectrum Link. Plans are well advanced in redesigning the older EIT products. NRIE has already released a new version of the 433MHZ Datatenna radio link. This is totally repackaged, comes as a tranceiver only and can be supplied as 151MHZ for an extended range. During October we will be testing prototype Datatenna Probe Controllers (DPC). These units will be housed in the same enclosure as the new Datatenna but will have smarts similar to the existing EIT IPC units and will be network compatible with them. The new design will concentrate on connecting to SDI-12 sensors only. The unit can be configured over the radio network. A cable running through the base will connect from battery power and the SDI-12 network. Pricing will be very competitive. 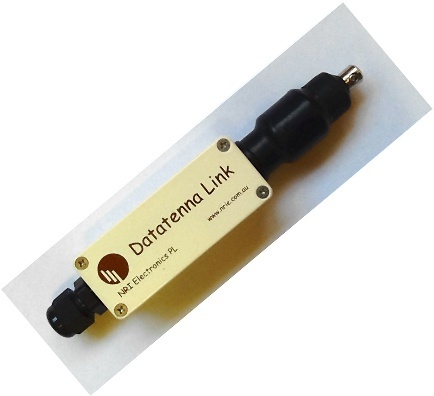 After successful testing of the Datatenna version of the DPC, we will release a 900MHZ version of the unit which should be network compatible with the older 100 mWatt Spread Spectrum IPC's. Specifications indicate it should be fully compatible but we have yet to test that.